Diversity yields nearly 400m results on Google. Approximately 150m results when searching Inclusion and roughly the same amount when the terms are joined together. The two terms are certainly not mutually exclusive. They can and do exist without the other, but they never should. Let’s take on the meaning of diversity first and why it’s important. The simplest definition is different. And it’s very likely the first applicable thought that comes to mind when using the term diversity is people – certainly within corporate nomenclature. And for this blogpost, I’ll focus on just that…people. Most will agree or accept that diversity is important. Beyond the obvious physical characteristics (which really matter), what does diversity represent? Age, race, ethnicity, gender – the physical traits as well as socio-economic status that represent a person’s background often shapes thinking. And that cognitive diversity is ultimately what we should be seeking. Diversity of thought. To only consider the appearance of diversity is selling ourselves short and a disservice to our organizational construct. Therefore, diverse thinking only matters if we take an open, proactive approach to being inclusive. So, what about the definition of inclusion? Again, I’ll keep it simple here: the action of being involved in a group or structure. One of the values within the Eleccion (ELX) ethos is we must be action oriented. Applied to this topic – as we set the foundation and establish the framework of our organizational concept and design, it’s not enough to paint the picture of diversity. We are actively holding ourselves accountable to consider a diverse talent pool when seeking contributors to ELX. Because we are building an organization with porous boundaries, everyone is encouraged to participate (internal and external to the organization). And that’s where the true spirit of innovation lives. Welcoming all ideas that move us forward…wherever the origin. When facing complex challenges, we must be open…we must be curious. You can find multiple studies on the benefits of cognitive diversity among high performing teams including this one in the Harvard Business Review. What they all have in common is the inclusiveness of its participants and the intentional action of all parties to contribute. Which brings me to my last point. It’s not solely incumbent upon the leaders of an organization to be inclusive. Those who have elected to be included, must be proactive in contributing. 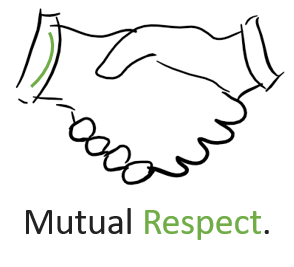 And a mutual respect must exist among all participants. In his book, ‘One Mission: How Leaders Build a Team of Teams’, Chris Fussell discusses four key drivers that should be present when leading a high performing, dispersed group or groups: Trust, Common Purpose, Interconnectivity, and Empowered Execution. These are principles to which we can all subscribe and I encourage you to examine your organization for any vacuum. Distributed backgrounds and varied experiences can only be consequential if they are applied to challenges intentionally. And the successful execution of an organization’s mission can only be achieved amidst intellectually honest diversity and inclusion. Craig Ridley is an enabling partner and co-founder of Eleccion, a next-generation management consulting firm providing advisory services to government and commercial organizations committed to making fundamental change improvement. What is the goal? We are driven to work toward individual goals and most often rewarded on our individual efforts. We need the ability to collaborate and produce meaningful work across companies and governmental agencies and move beyond personal gain. Embracing diversity and discovering how to be inclusive is a start toward an environmental change. Opening up and most importantly listening to others has the potential to evolve our business practices across the multitude of industries. We need to learn and grow from each other.